Apr 10, 2016 by Anurag Singh. Kale Scored 117 of 44 deliveries.what was most striking was that his century came inside 10 overs which is in all likelihood is a record in Japan. After a tense encounter in the T-20 World Cup, with India taking the game in a thrilling finish, P. Kale invited the Rising Stars to play a couple of friendly T-20s at Sano. Rising Stars gladly accepted the challenge and the was game on. Every one was wishing for close games, but Engineers’ batting line up (read Prashant) made sure that that was not the case. Engineers captain Vinay, offered the opposition to bat first, if they agreed to Engineers batting first in the second game. After that sweet deal was made, the game started with Anurag and Vivek opening the bowling, in absence of the regular (read older) pair of Biju and Rajneesh. Vivek playing his first game for the Engineers, bowled in good areas, with very good pace, despite the pot belly, which is a proof of the good time he had back home. Anurag was a bit wayward to begin with and allowed Rising Stars’ openers easy runs, with Sunny, the opener taking him for a couple of fours and a six. First change, Abdul got rid of the other opener straight-away in his first over, with Prashant Kumar pocketing the catch. This brought in Naimul at number 3, who was sent back by PK in the first over of his spell, with Vinay taking the catch. Sunny on the other end was riding all his luck and making sure Engineers paid the price every time it was bowled in the slot. He had a good partnership with Rajin (16) and Sayeed (18). After two overs from Abdul, Vinay took over for a two over spell, and took out Sunny in his first over to halt their march. Afterwards, Manu and Prem were brought on to bowl two over spells each. Prem bowled a good spell, bowling wicket to wicket, and taking out Mohibul in his first over. Vivek and Anurag finished the innings with some tidy overs to restrict the Rising Stars to 142 in their allotted 20 overs. The bowling effort from the Engineers was good, but it lacked control, and the ground fielding and catching let them down too many times. The keeping by Prashant Kumar was brilliant as always. Chasing 143, Engineers started with Prashant Kale (referred to as Kale hereafter as we have two of them now 🙂 ) and Vinay. Kale was in no mood to take it slow, which is the case most of the times, and he started with a huge six off the second ball of the innings. On the other end, Vinay had a contrasting start, miscuing his second ball to offer a simple catch. This brought the younger Prashant to the crease who played very sensibly and kept rotating the strike, making sure Kale got to face as many deliveries as possible. Kale was in great touch and was making sure that anything that was in his zone was punished. It was just one of the days where his zone was pretty wide. All the bad deliveries and even the not so bad ones were dispatched to the boundary and he showed no love to any of the bowlers. Engineers had to dispatch two people on the boundary just to fetch the balls that were mostly landing outside the ground. He took a special liking to Rajin and Helal, with the former going for 37 in his 2 overs, and the latter going for 35 in his single over spell. 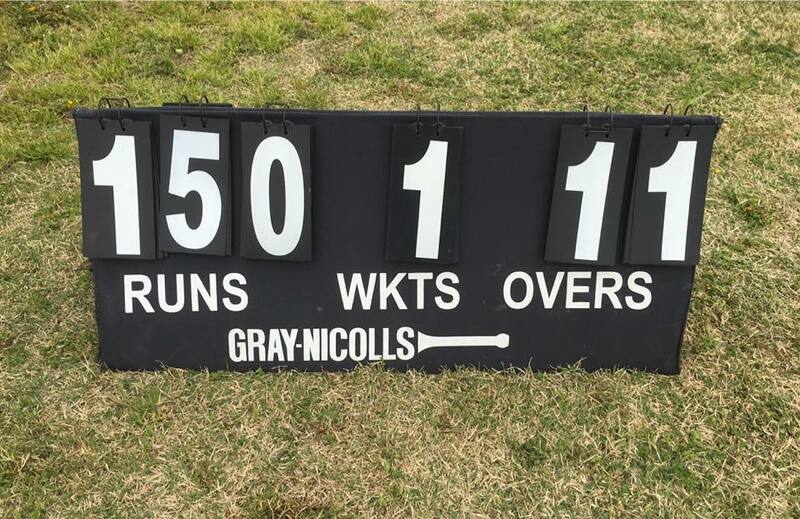 Kale was in such good touch in the second half of the innings that he took only 15 deliveries to complete his second fifty and raced to 117 in a mere 44 deliveries. It was a great knock and I hope he continues paying like this for the rest of the season. What was most striking was that his century came inside the first 10 overs, which in all likelihood is a record in Japan.